Home Cloud Can Cloud Business Continue To Drive SAP Growth? 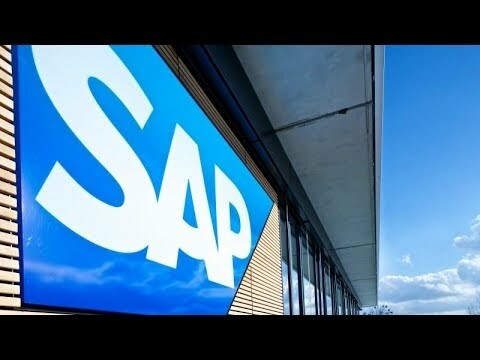 SAP Growth- SAP (NYSE: SAP), the German software giant, will release its 2018 fourth quarter and full year financial results on January 29, 2018. The market expects the company to post revenue in the range of $28 billion, approximately 4% growth year on year. The earnings are expected to be around $5, for the Fiscal Year 2018. The company had reported a strong third quarter with triple digit growth across C/4 HANA and S/4 HANA platforms, which drove the cloud revenue. We have a $110 price estimate for the company, which is above the current market price. View our interactive dashboard – Our Outlook For SAP In 2018 – and modify the key assumptions to arrive at your own price estimate for the company. SAP has had a good year on the back of the high growth in the cloud segments as the S/HANA platforms has already been adopted by 9500+, up 37% YOY. However, SAP’s software business is expected to continue dragging on its top-line and bottom-line due to the shift from on-premise to cloud platform, but the company is expected to more than offset the same with high growth in the Cloud platform and Digital supply chain solutions. The company has increased their outlook three times in the year, with each quarterly result, which tells us that the company has been doing much better then the management expectations this year. Based on the fast adoption of its cloud platform, we expect SAP’s cloud business to continue to drive its value in the near term as well as long term.